Mountain Land Physical Therapy of Meridian has provided exceptional physical therapy for over twenty years. When we opened in 1992, Mountain Land was the first physical therapy clinic in Meridian with a population of just 10,000 residents. After years of population growth and numerous competing therapy clinics that have come and gone, we continue to grow and thrive! Located inside the Crunch Fitness location in the center of the Treasure Valley, our clinic is convenient to Meridian, West Boise, and the surrounding communities. As a physical therapy clinic inside the athletic club, we have access to a full variety of aerobic equipment, weight machines, and agility training area. Utilizing the clubs indoor pool, our clinic also offers a personalized aquatic therapy program for patients who require a lower impact therapy program. Our physical therapists provide one on one treatment, utilizing advanced manual skills, patient education, and home programs to create your individualized plan of care. At our Meridian clinic you will enjoy a personalized approach, friendly staff, and positive atmosphere while receiving great therapy with successful outcomes. Mountain Land Physical Therapy is a fantastic establishment with some of the finest therapists in town. All of the people who work at Mountain Land are very professional and welcoming. I am pleased with the attention and service I receive from each of them. You all did an amazing job taking care of me. Putting the time and effort in to work with you has changed my life! Thank you so much for the amazing job you did with me and the kindness and understanding you showed. Jon is an amazing therapist. He doesn’t rush. He explains everything that we are going to do to get my knee better. I wouldn’t go to anyone else! I was very satisfied with the treatment I received at MLR. This is my second visit with Mike, and I would definitely return to him if necessary. I would strongly recommend his services to family and friends. Mike Schow is absolutely the best. Explains what he is doing and the expected benefit. Patient. Friendly. Professional. Results oriented and works at my pace. Jon was great. Hopefully I don’t need PT again, but if I did, I would go to him. Mike Schow and Dori Omas and their team are awesome!! They have always treated me with respect. The MLPT clinic and staff are tops–always friendly, caring, and positive. … I give them 5 stars and more. Mike is absolutely the best and so is the Staff!! Thanks, thanks and more thanks for getting my shoulder back to normal. Although I was working through a painful injury, I could not have asked for a more comfortable, professional and caring environment. Mike and the staff are great! I really appreciate all that they have done for me! The whole staff was great and I looked forward to every appointment. They are a great team. Mike has been a part of the Mountain Land family since 1993. He earned his Physical Therapy degree from the University of North Dakota. 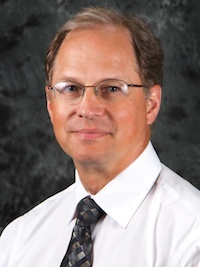 He is a Board Certified Orthopedic Specialist and has received Certification in Orthopedic Manual Therapy from the International Academy of Orthopedic Medicine – U.S.
Mike has advanced training in the treatment of joint, spine, and soft tissue injuries, headaches, TMD, pregnancy-related back pain, and return to work programs. He uses hands on treatment techniques coupled with patient education, exercise, and an at-home program to help his patients achieve their goals. Mike enjoys working with all orthopedic and soft tissue related diagnoses. When he’s not at the clinic, Mike spends his free time enjoying the outdoors, playing sports, music and spending quality time with his family. 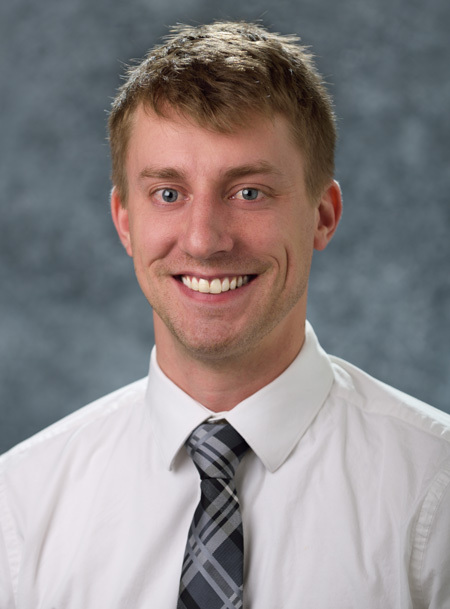 Pete earned his Bachelor of Science degree in Exercise and Sport Science from the University of Wisconsin-La Crosse and went on to earn his Doctorate of Physical Therapy from Franklin Pierce University, located in New Hampshire, in 2017. Having gone through his own ACL surgery rehabilitation, Pete has an increased understanding of the experience his patients are going through. He enjoys educating patients on the “why” behind what is happening with their bodies and how physical therapy is going to be beneficial for them. In addition to orthopedics and post-surgical rehabilitation, Pete has extensive education working in hospital-specific acute care and has studied how to treat systemic inflammation such as Rheumatoid Arthritis. When not in the clinic, you will find Pete along with his wife and dog hiking up north exploring hot springs, or trying his luck at fly fishing.